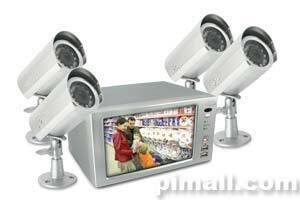 Would you like to watch your multiple security cameras on your television set at the same time? You now can with the Clearvu Q4. This unique system lets you connect up to 4 cameras using RCA or BNC type connection and have them all displayed on your TV at the same time. There will no longer be the need to switch between each camera to see what is going on, they all can be viewed on one screen. 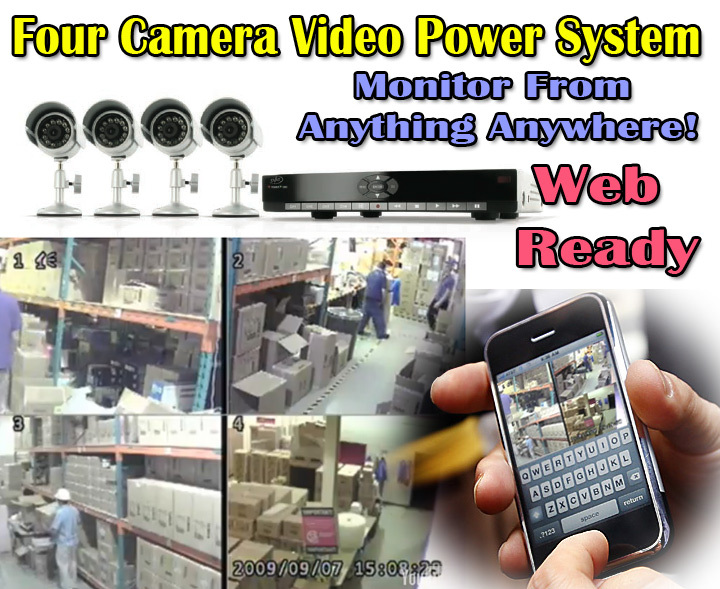 We have included a remote control for your convenience with which you can zoom in, zoom out, view desired camera full screen and all the other amazing features built into this system. The Clearvu Q5 is a color quad splitter that turns virtually any TV into a video security system. You can purchase any Clearvu camera to start creating your security system. Feed the video to a VCR to complete the system. Works great with any color cameras. 14" B/W Quad Monitor with Audio Video TV Output, 4 CCD Cameras with 60 feet cables- The ClearVuQ1404 system come with a 14" B/W high resolution Quad monitor and 4 B/W steel cameras each equipped with a 60 foot wiring cable. The monitor screen is split into 4 viewing windows (QUAD feature) which allow you to view all cameras simultaneously, with its included remote control or using the keys found on the monitor you can zoom in, zoom out, view desired camera full screen and have them automatically switch between cameras while in FULL Screen mode. Using separate monitors for each of your security cameras can take up space and become costly. But splitting a single monitor into quarters to view each camera can decrease the visibility. The ClearVu S400 camera switcher allows you to monitor 4 different locations on your television and/or by connecting it to a VCR enables you to record it all. The view switches automatically from one camera to the next at an interval you program. Alternatively, you may switch the cameras manually.